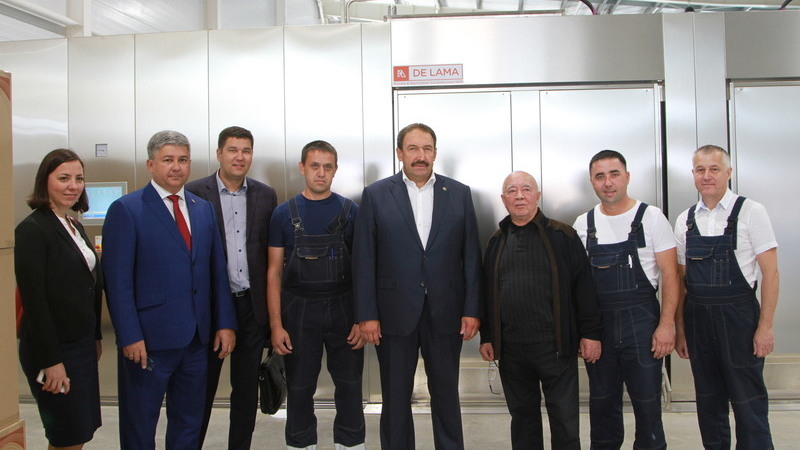 On September 4, Tatarstan Prime Minister Aleksey Pesoshin visited the production site of the Kazan Medical Instruments Plant located in the village of Kirby in Laishevo region of the republic. Accompanied by Head of the region Mikhail Afanasyev, Pesoshin looked around production facilities and equipment installed at the site. The complex of the Kazan Medical Instruments Plant for sterilization of medical products was opened in the village of Kirby in February this year. As it was reported earlier the company will produce, sterilize and pack thermally labile plastic, rubber, metal and electromechanical medical materials, tools and equipment. By 2020, the volume of production of sterile medical products will make 1.2 billion roubles a year. Issues of further development of the enterprise, the use of its potential and possible increase in production were discussed during the visit.